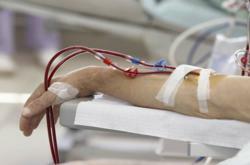 Product liability attorneys Mehr Law Group announced a new campaign to help consumers who believe they were injured as a result of their dialysis treatments. The firm is encouraging consumers who believe their injuries were the result of their dialysis treatment to call for a free consultation today. We’ve received numerous calls from family members who lost a loved one to a heart attack during their dialysis treatment. The product liability attorneys Mehr Law Group announced a new campaign today to help consumers injured as a result of their dialysis treatment. Consumers who have believe they have been injured as a result of their dialysis treatment are encouraged to call the Mehr Law Group to obtain a free consultation and information on how they can help. Across America, 400,000 Americans receive dialysis treatment per year in a variety of care centers. 1/3 of these patients receive dialysis treatment using Fresenius Medical Care’s dialysis concentrates, GranuFlo® and NaturaLyte®. During dialysis treatment, these acid concentrates were commonly mixed with bicarbonates to lower the amount of acid build up in the blood to prevent kidney failure. Because these acid concentrates already had elevated bicarbonate levels, patients were at risk for alkalosis, which could cause severe injuries such as heart attacks. In 2010, doctors in Fresenius’ Medical Centers observed over 900 patients’ heart attacks during dialysis treatment. These injuries were disclosed in an internal health communication (disclosed in this NY Times article here: http://www.nytimes.com/2012/06/15/health/fda-investigates-fresenius-for-failure-to-warn-of-risk.html?_r=0) Company- wide, doctors received new dosage instructions to alleviate the concern for heart attacks, but this memo and updated health care information was not distributed outside of the network.